Once again this year I participated (in a DJ way) for the BC Cancer Foundation, Ride To Conquer Cancer - spinning the beats and keeping things funky at the Peace Arch Border while 3,011 riders waited to pass over into the US on their way down to Seattle. 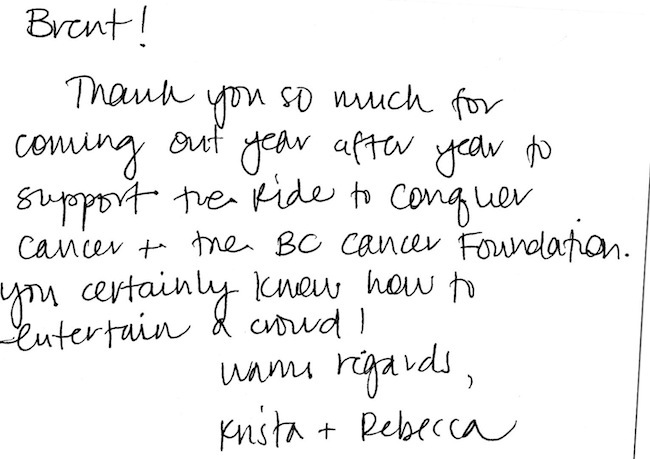 So happy to hear the ride this year raised a record-breaking $11.2 million for cancer research, so glad to be a part of it!!! !